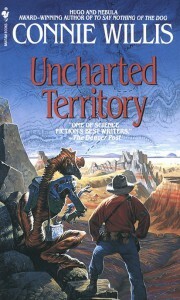 Uncharted Territory, Connie Willis, Bantam Spectra, 1994, ISBN 9780553562941, 149pp. Another light but excellently told SF tale by Willis. A couple of crusty surveyors and a native are working to map a new planet. Things are not all as they seem, however. The native is constantly fining the off-worlders for the degradation to the planet. 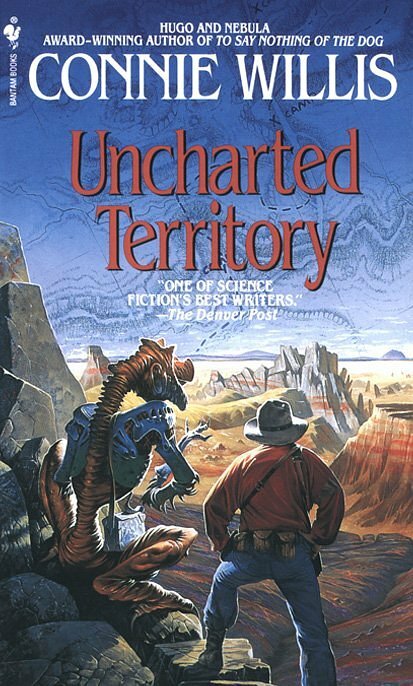 The off-world survey might harbor an ulterior interest for the government. Willis’ comedy here is, like a lot of her stories, true screwball. That means a battle of the sexes, with misunderstandings and misrepresentations. I’m told that this type of humor is an acquired taste, which may explain some of the comments I’ve heard from people who say Willis’ stories don’t do anything for them. Personally, I can’t get enough of them, and have to find other authors to fulfill that need during the months it takes Connie to write another.